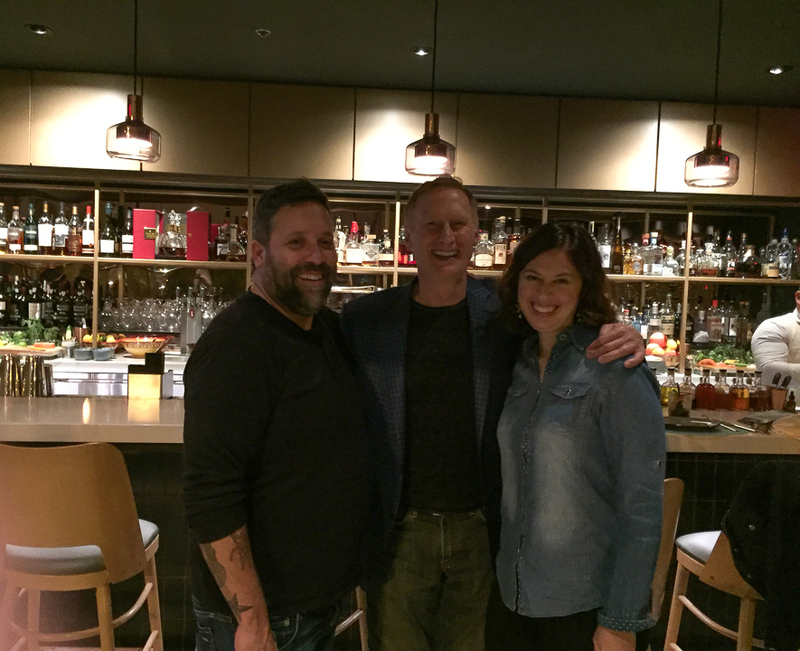 Last Saturday, Tom and Susan went to Arroz, a hot new Mike Isabella Concepts restaurant in the Marriott Marquis Washington, D.C. It is a unique contemporary look at the flavors, and look of Morocco and Southern Spain. We started with “No Borders” craft cocktails, which were super-tasty and then rosé sangria with dinner. We had two of the small plates and split a bomba-Arroz’s current take on paella-delicious! We got a chance to speak with Mike Isabella about his upcoming mega-project in Tysons Galleria opening later this year. He’s “nervous, but excited” and a little “sleepless” about this 41,000 square-foot “Isabella Eatery” that will have 9 different concepts plus a Prohibition-era cocktail bar. Isabella Eatery will include second outposts of current Isabella restaurants, such as Graffiato, Yona, Pepita and Arroz, as well as newcomers Kapnos Marketa, Non-Fiction Coffee, Requin Raw Bar, Octagon Bar and Retro Creamery. We think it’s going to be an awesome addition to the Tysons area and can’t wait to see what each space has to offer! Stay tuned for Grand Opening news. As always, we are here for you, whether you are looking for a restaurant recommendation, or want to buy or sell a home. Call us at 703-822-0207 or e-mail us anytime at TomandCindy@HelloVirginia.com.